There are two main reasons we like Memphis: Cash Flow. And, Cash Flow! Or is that one reason? And though it isn’t the only major market with nice cash flow, it’s one of the best. But there are other reasons to like Memphis. And after many field trips to Memphis, virtually everyone we bring likes it too. Memphis is in Tennessee, which is a no tax state. It’s also very affordable – not just for real estate investors and residents, but for businesses too. 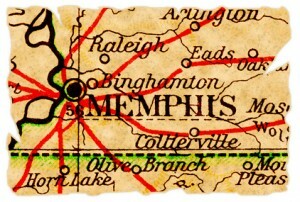 As the main U.S. hub for FedEx and conveniently located on the Mississippi River, Memphis is also a major distribution center. And while lots of manufacturing jobs have been sent offshore, when the finished goods come back to the U.S., many of them pass through Memphis. So those jobs aren’t going anywhere. Plus, lots of businesses pick Memphis just so that can be close to FedEx. After all, if you can take an order at night and still get it delivered the next day, that’s a big competitive edge. Like many markets, Memphis is made of sub-markets. So getting to know the market and building a solid local team is important to uncovering those pockets of opportunity. To help you in your quest for Memphis market knowledge, we’ve organized some resources below that we think you’ll find useful. And when you’ve soaked up all the knowledge you can from afar, come join us on one of our market field trips. We’ll grab a beer and take a walk down Beale Street! Come see Memphis for yourself! Join The Real Estate Guys™ for a fun weekend of market exploration (purely educational). Click here to learn more.